With recent advancements of camera in smart phones, people started to capture every moment of their life. In addition to rear cameras, front cameras also started to get popular. Because of these front cameras, the term selfie came into existence. Thanks to the front cameras that give an opportunity to every android smart phone user to take photos without the need of a cameraman. For taking high quality selfies, selfie stick was born. Today, even children have their own selfie sticks to capture images. 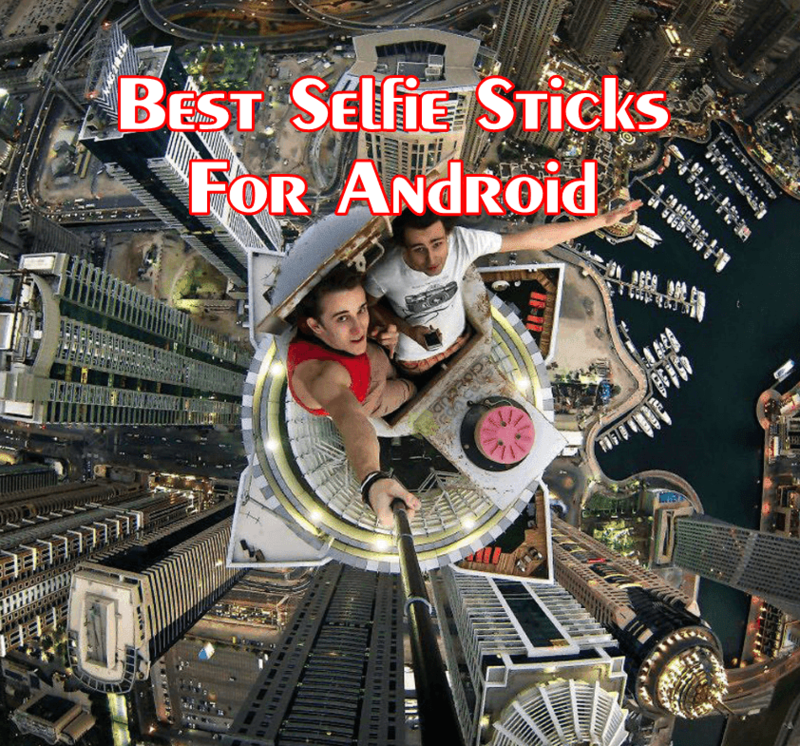 It is because of this popularity that I have decided to share with you the list of top 5 Bluetooth selfie sticks available in the market for Android devices so that you can capture every memory in your smartphone. 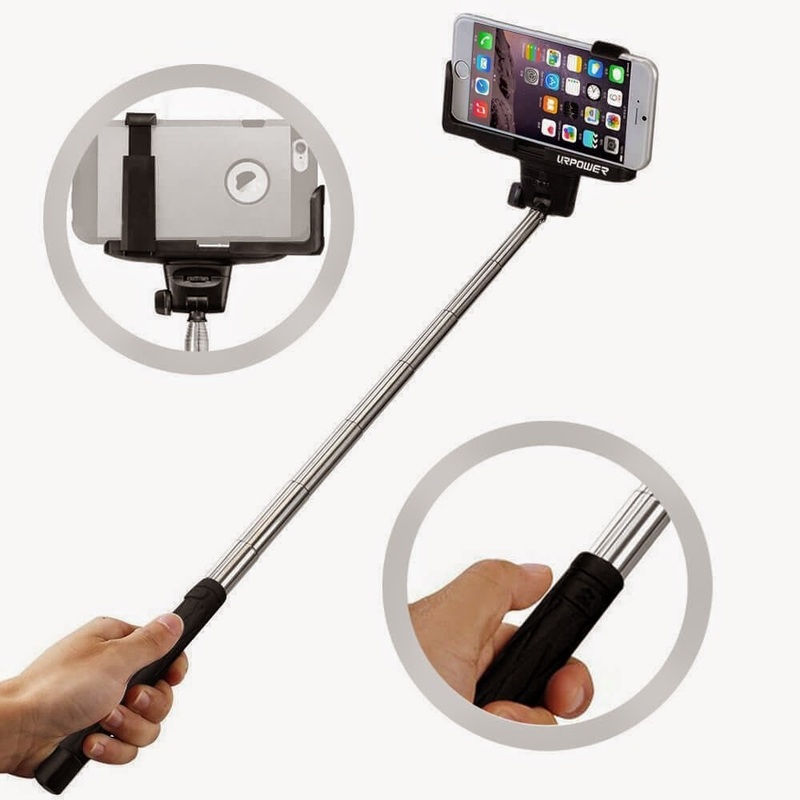 This selfie stick tops our list of top 5 Bluetooth selfie sticks with a rating of 4.5 at Amazon. The selfie stick is 2-in-1 where you can find a self-portrait monopod selfie stick with a built-in Bluetooth remote shutter. No need of a separate remote for capturing selfies. Easily compatible with android smartphones and is light weight. Moreover, the company is giving free life time warranty with an extremely affordable price of $14.99. 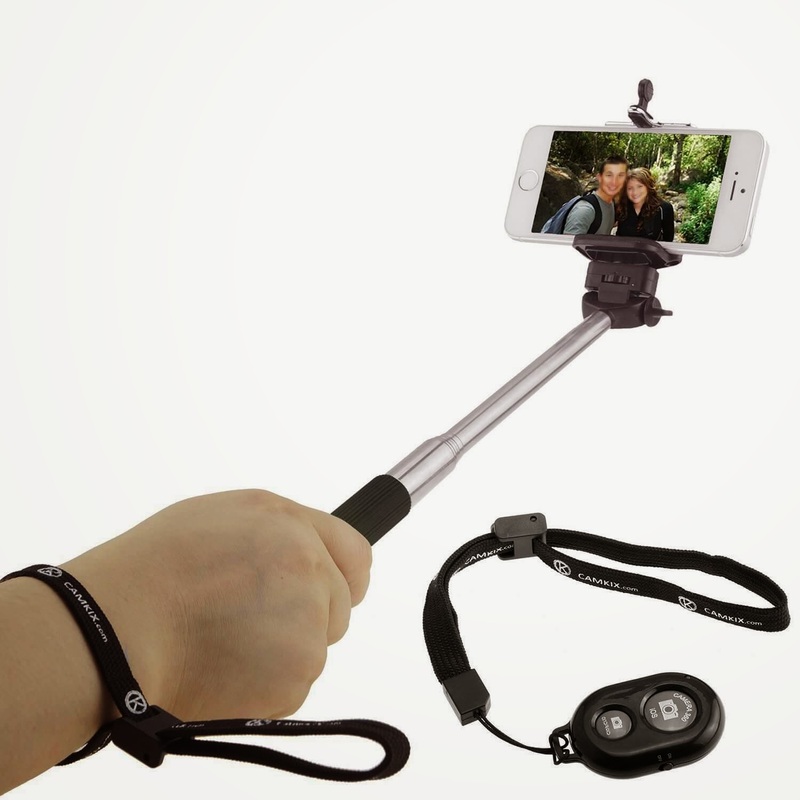 The selfie stick is light in weight and can easily fit in your hand bag. Its holder can easily hold any android device with fully adjustable extension. The stick head is rotatable to 180 degrees so you can adjust it accordingly. 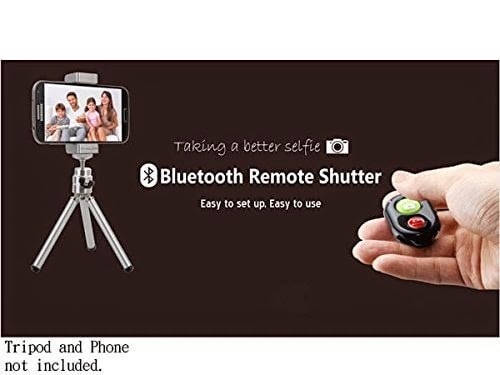 A Bluetooth remote is also available with it so you can capture the image quite conveniently. Android users may also need to download “Camera360” app for this selfie stick. MiniSuit comes at number 3 on our list of top 5 Bluetooth selfie sticks with its cool designed selfie stick. The stick is light weight with an adjustable cradle for holding smart phones. It can easily hold iPhone, android devices, etc. A Bluetooth remote is also available to give you ease of photo capturing. 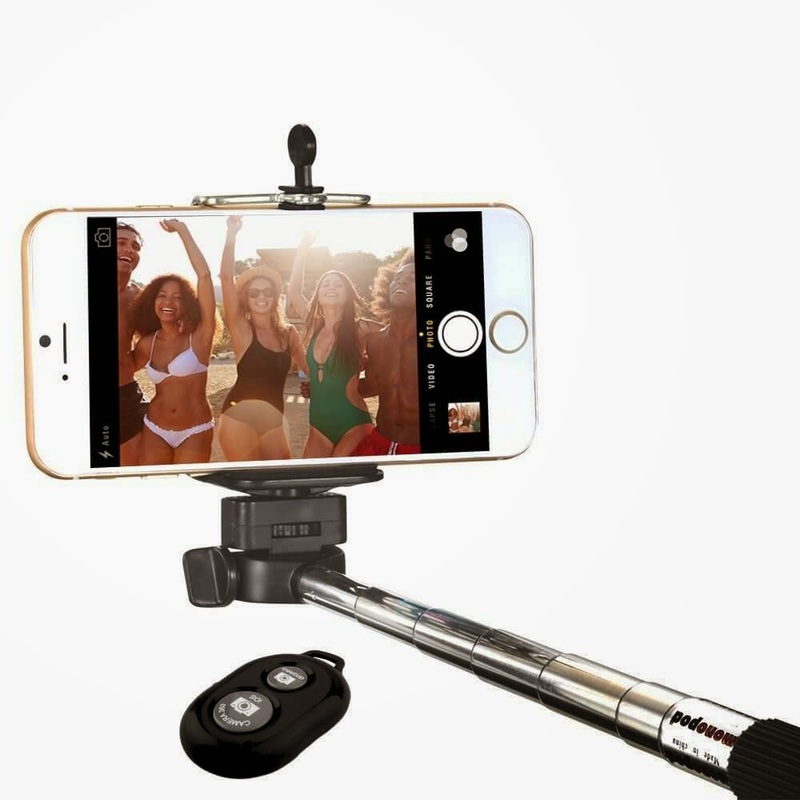 The bundle also includes telescopic monopod and a battery with an amazing price of $14.95. At number 4 spot comes the iRag with yet another great selfie stick. The package includes a telescopic monopod with a cradle for holding cell phone and a Bluetooth remote. The remote can be quite helpful for taking photos while holding the selfie stick. The selfie stick can be yours for just $6.99. 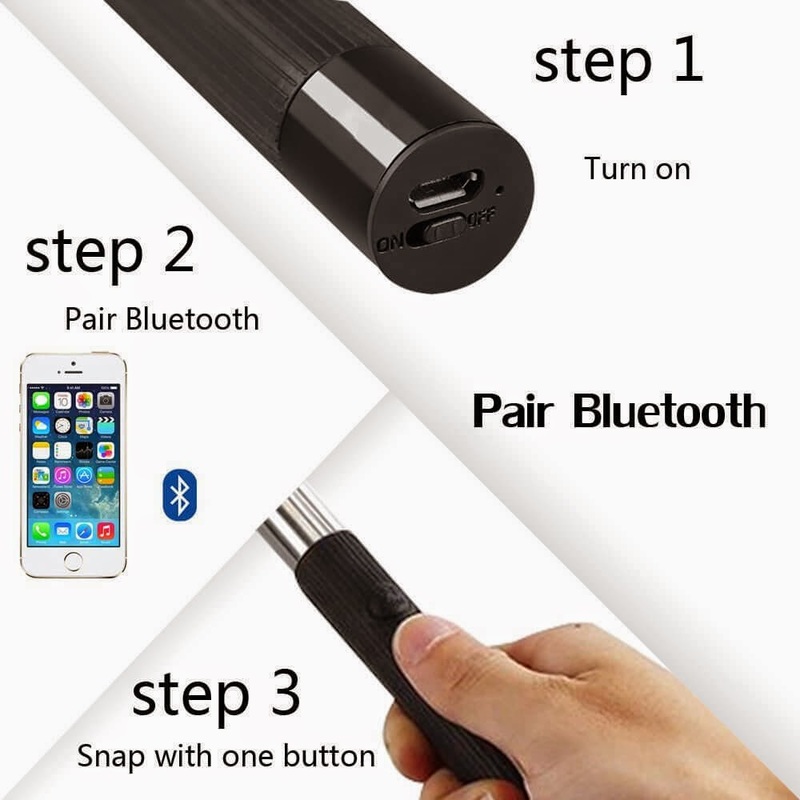 Urpower again hits the top 5 Bluetooth selfie sticks’ chart with its rechargeable selfie stick. It is rechargeable and wireless Bluetooth selfie stick with two adjustable clamps for holding phone firmly. The Urpower is famous for its quality accessories for android and Apple products. So you can get the selfie stick without worrying about the quality. The price is also attractive which is of $15.99. Select any of these top 5 selfie stick and capture every great moment of your life and don’t forget to share your experience with us. Waiting for your feedback. Yea, selfie sticks are just like another gadget to play with.